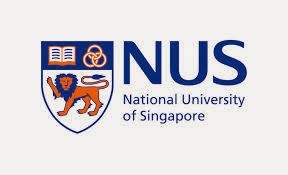 National University of Singapore (NUS) is located at 21 Lower Kent Ridge Road nearby Buona Vista neighbourhood in District 05, Singapore 119077. It is at the southwest section of the country, just beside Kent Ridge Park. Buona Vista is a town that sits next to Ghim Moh and Dover estates. It is known for its hilly and winding roads that are perfect for adventure seekers or racers. It is served by MRT stations and buses. Nearest MRT is Kent Ridge MRT and the closest bus stops are at Lower Kent Ridge Road, just at Sheares Hall. Amenities in the area include West Coast Plaza, Holland Road Shopping Center, Clementi Shopping Centre, and Cold Storage. Some of the schools close by are Anglo-Chinese School, NUS High School of Mathematics & Science, Fairfield Methodist Primary and Secondary School, Nan Hua High School, New Town Secondary School, and Kent Ridge Secondary School.